There is a looming plague in the United States: student loans. While the United States President Donald Trump boasts of lower unemployment rates and being the sole reason for the success of the stock market, an inevitable crisis is looming. 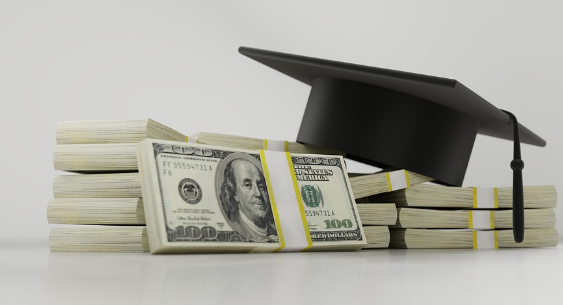 According to recent data, the aggregate amount of outstanding student loan debt in the United States alone has reached a staggering $1.56 trillion in the first quarter of 2018. Student loan debt is now the second highest debt in the category of consumer debt. Mortgage debt, credit card debt and automobile debt are the first, third and fourth respectively in the category. The average student loan debt in the United States in the year 2016 was $37,102. The $1.56 trillion student loan debt is owed by 44 million borrowers and backed by either the federal government or private corporations. The state having the highest student loan debt is California with $129.6 billion, followed by Texas with $94.49 billion, New York with $86.54 billion, Florida with $79.69 billion, and Pennsylvania with $61.83 billion. On the other hand, the state with the lowest student loan debt is Wyoming with $1.53 billion, followed by Alaska with $2.03 billion, Vermont with $2.8 billion, North Dakota with $2.93 billion and South Dakota with $3.34 billion. U.S. Department of Education Secretary Betsy DeVos said that student loan debt is now three times as high compared to the student loan debt in the year 2007. She added that the Obama government’s resolution to make all student loans come from the federal government alone has influenced many colleges and universities to increase their tuition rates. There is a rising concern about the increase of student loans and justifiably so. With the increase in student loan debt and the decrease in back payment of these loans, the United States’ economy can suffer great losses. For one, 1.8 million American borrowers aged 62 and older still owed the federal government a shocking $62.5 billion in unpaid student loan debt. Carrying these student loan debts into old age can cause detrimental effects in the long run for the United States economy. Amidst this looming crisis in the United States, a silver lining is taking shape. As of 2018, delinquency rates dropped slightly as compared to 2017 thanks to improved employment rates. However the fact still remains, student loan debt default is twice what it was during the past years. A lack in new ways or policies to address this growing concern can lead to the creation of bigger problems and worse consequences. Though U.S. Department of Education Secretary Betsy DeVos did not specifically point out particular solutions to this rising problem, she suggested that educational institutions and families themselves must “act more responsibly” in matters of borrowing student loans. She also said that current student loan debt repayment methods are complicated. To address the problem, these repayment methods must be simplified for the benefit of both taxpayers and student loan borrowers alike.